A 20 Inch Globe with over 10000 place names! Contemporary quality. 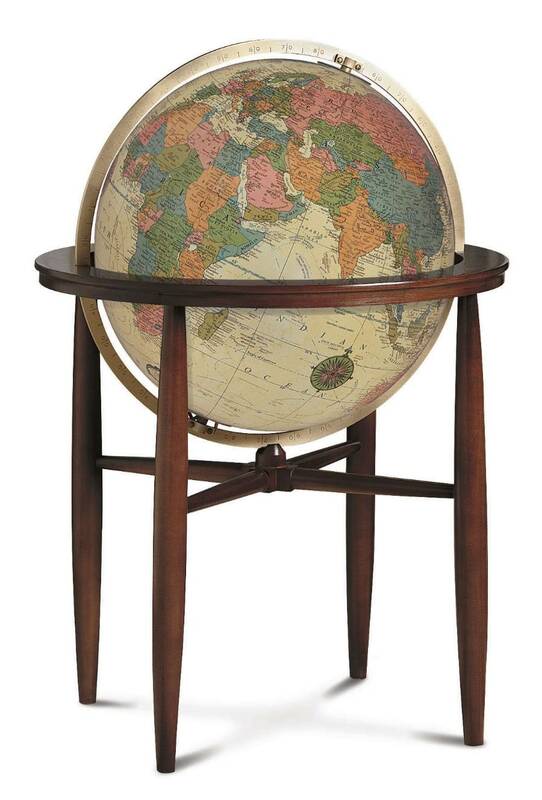 The Finley's impressive 93cm height and simple lines of the hardwood base provide an attractive setting for its 50cm diameter illuminated globe ball. Choose dramatic blue ocean map, or the rich, understated antique version to reflect your personal style, both hand-laid and fully up-to-date. Engraved aluminum full meridian in a brushed brass colour.